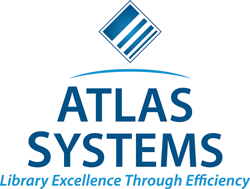 Established in 2018, The annual RUSA STARS Publication Recognition Award Sponsored by Atlas Systems is $1440* and a citation presented to librarians or library staff to highlight and encourage excellence in publication in STARS (Sharing and Transforming Access to Resources Section) areas, including interlibrary loan, document delivery, remote circulation, access services, cooperative reference, cooperative collection-development, remote storage and other shared library services. Adequate data and documentation to support statements. To nominate a librarian, complete the nomination form. Self-nominations are permitted. The nomination form can be found on the RUSA Update Resources page. Questions should be directed to the committee chair. Non-ALA members must submit their nominations to the committee chair.